From the books to life-like series for the British TV, Miss Marple solved mysteries as if she was an actual detective. The best actress for the role was Joan Hickson. I'm a big fan of British mysteries and investigators. And so, Agatha Christie's Miss Jane Marple is among my favorite detective amateurs. I started with reading the books and then... once the books were turned into TV series broadcast all around the world, I could enjoy the mysteries in a life-like atmosphere. I never missed an episode on TV. 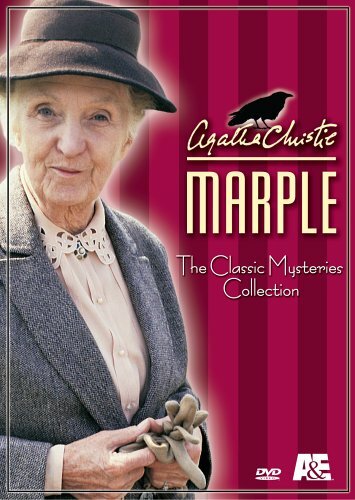 The Miss Marple TV series is inspired from Agatha Christie's novels, starring an old Victorian spinster who acted as a detective and solved deep mysteries. The TV series featuring Joan Hickson is for Christie's fans and, more particularly, purists, wonderful. Hickson was in my opinion the best Miss Marple the author would have dreamed of and the way she portrayed the old spinster was perfect. Produced in the 1980s, the episodes stuck to Christie's novels and allowed those that enjoyed reading the matching novels, to see their life-like affectionated character. Though Hickson wasn't the first nor the last Jane Marple, she was probably the best ever. For this reason, I recommend getting the DVDs including the whole series. You will quickly find out that you cannot do without watching them over and over again. In this movie, author Raymond West offered a trip to a Carribean resort to his aunt, Miss Marple. The old lady was supposed to rest but how could she keep quiet and relaxed when a guest suddenly dies when strange events happen? The movie starts with a lady strangled in a train. The murder is witnessed by Elspeth McGillicuddy, Miss Marple's Scottish friend. Along with a young housekeeper, she will then investigate the case at Rutherford's Hall. Miss Marple went first to the Bertram Hotel when she was 14. Sixty years later her nephew sends her for a week in this highly popular and classy Victorian hotel. While the hotel is still the same, Miss Marple thinks that things should have evolved with time... From mysteries to dead bodies, she will quickly discover the actual truth that's hidden behind the perfectly managed hotel. Newly married, a young couple acquires the house of their dreams. Quickly the wife is under the impression that she knows the house very well. How is this possible since she never lived in England? Miss Marple will help the young woman discover the truth about her childhood and why the house looks so familiar. Five other movies will add to the pleasure you'll take from watching the DVD: They Do it with Mirrors, Nemesis, The Mirror Cracked from Side to Side, The Moving Finger and Murder at the Vicarage. All were inspired from Christie's novels and will provide you with some good chills. Look at Different Marples in Action! Joan Hickson wasn't the only actor who portrayed Miss Marple however, she was the best of all. Christie herself thought of Hickson as HER Miss Marple long before the beginning of the TV series. Hickson was the ideal British old lady who grew up in the countryside during the Victorian Era. She also portrayed the spinster with perfection: although never married, Miss Marple knew a lot of things about married people. Although books were written between 1930 and 1970, the movies always depict the events in the 1950s. She was a humorous actress, and the most hilarious Miss Marple ever. Both the stories and the old lady's personality were often changed. Miss Marple was depicted as a thin person, Rutherford wasn't thin at all. Miss Marple was also a quiet person, Rutherford had an energetic personality. All in all she was not Christie's detective amateur but she was a great actress and the movies were fun. The TV series starring McKenzie were inspired from Christie's work however the plots were entirely changed while some episodes weren't even based on books including Miss Marple (for example: "Towards Zero"). Although McKenzie's hat was the most appropriate for the depiction of the Victorian spinster, the series wasn't faithful to Christie's female crime-fighter. Most characters including Miss Marple were portrayed like lunatics, the stories were entirely changed, other characters were added - most who wouldn't have been welcomed in a 1950s society - and even some turned into alcoholics. The newest Miss Marple is Julia McKenzie. Once again, the series includes episodes in which Marple shouldn't appear (for example "Why Don't they Ask Evans? ", "The Pale Horse", etc.) The worst part of this new series lies into the fact that the producers turned the beautiful and sophisticated Julia McKenzie into a replica of Mrs Doubtfire. Moreover, McKenzie is too young to play Miss Marple. Although Miss Marple is in her 70s, she has rheumatism, she can't move like a young woman, she's also provided a shy personality although extremely sharp and clever. The other downside of this new series is that Miss Marple acts like an actual detective. Besides these four main Miss Marple, Angela Lansbury played the role for the movie "The Mirror Cracked from Side to Side". Ita Ever starred the old spinster in the Russian version of "A Pocket Full of Rye". All in all if you're fan of Agatha Christie or fell for British cinema and theater, if you enjoy a good mystery, then I do recommend this TV series. Tommy and Tuppence, happily married and detective as well. When one is fan of some books, one also often wants to see real life characters taken out of those books. And this is done through the production of movies and TV series featuring those highly popular characters. 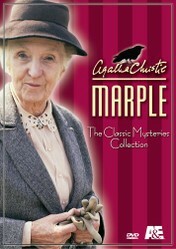 The Marple series also includes three episodes that aren't in the above mentioned DVD. There's also a wonderful series that was made after Hercule Poirot (David Suchet performed this extremely hard role) and that is popular among Christie's fans. The first part of this series was a BBC production and included actors like Philip Jackson (Chief Inspector Japp), Pauline Moran (Miss Lemon) and Hugh Fraser (Captain Hastings). Then there was also the Tommy and Tuppens adventures brought to life: Partners In crime is a TV series that featured a couple of amateur detective who would solve mysteries. The series was also popular although Christie didn't write a lot of books featuring the couple. Tommy and Tuppens were friends since their early childhood. After WWI, they fell in love and decided to join their forces to fight the crime. I've heard of this Agatha Christie movie set. It sounds like a great way to see a bunch of the stories. How did Sherlock Holmes Survive The Reichenbach Fall? In both literature and television, Sherlock had an apparently fatal clash with Moriarty. Fans of the BBC series are working out if history will repeat.